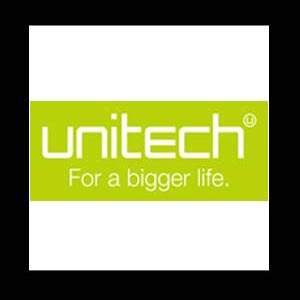 Stock market analyst Rahul Mohinder has maintained 'buy' rating on Unitech Ltd stock to achieve a short term target of Rs 100. According to analyst, the interested investors can buy the stock with strict stop loss of Rs 81. Mr. Mohinder said that the investors can achieve the said target within a period of one month. The stock of the company, on Sep 27, closed at Rs 86.90 on the Bombay Stock Exchange (BSE). The share price has seen a 52-week high of Rs 111.80 and a low of Rs 66.95 on BSE. Current EPS & P/E ratio stood at 2.78 and 31.19 respectively. Real estate giant Unitech has declared a hefty growth in its standalone net profit for the three month period ended June 2010. During the April-June quarter, the company's profit grew by 24.70% to Rs 1,777.00 million as compared to Rs 1,425.00 million during the corresponding period of last year (2009). The company's net sales for the said period increased by 84.45% to Rs 6,188.80 million. For the period under review, Unitech registered a jump of 74.27% in its total income, which stood at Rs 6,970.40 million. The company's earning per share during the quarter stood at Rs 0.72 per share, recording 2.70% decline over last year period.